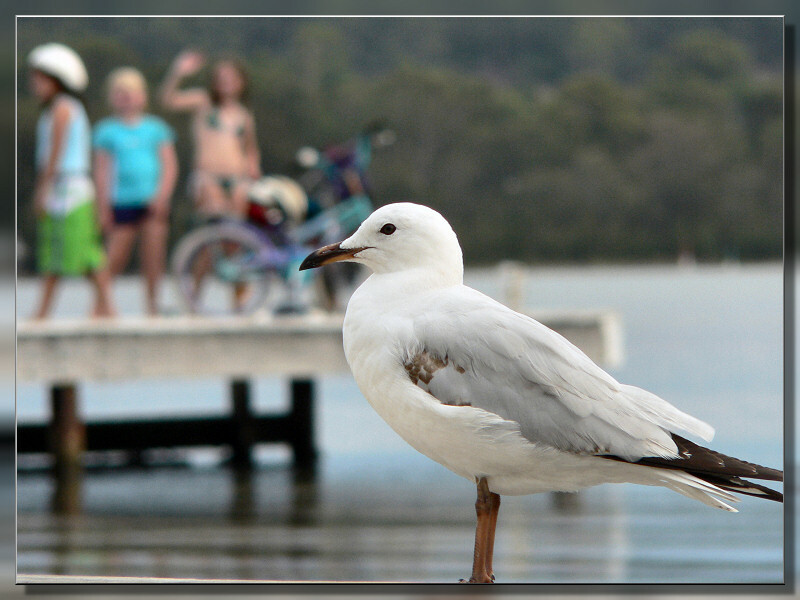 I was setting up to shoot this gull when I noticed the children in the background posing, thinking I was shooting them. The bird knew it was all about him. I ended up getting a good isolated bird shot but now prefer this one for the "story factor". The shot of the fuzzy green bikini is awesome .